Style 9900 gasket is composed of graphite fibers with a nitrile binder, allowing it to withstand extreme conditions. 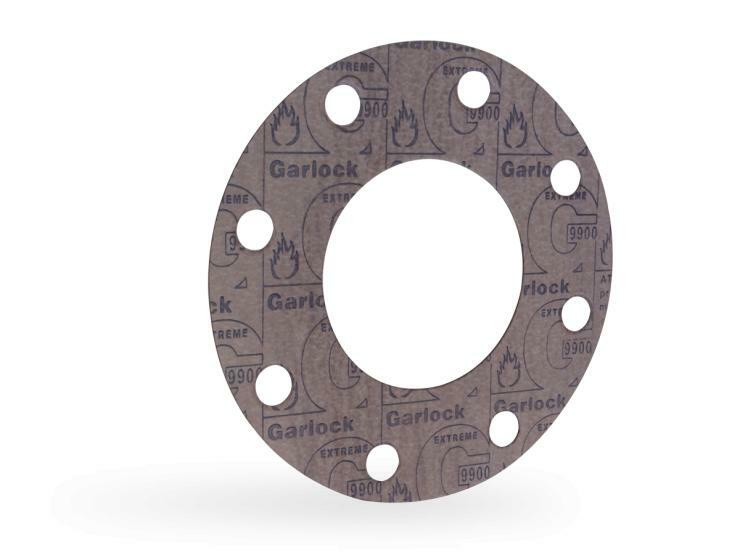 This high temperature gasket has passed Garlock® fire tests and is ABS Fire Safe Type Approved. *Minimum recommended assembly stress = 4,800psi. Preferred assembly stress = 6,000-10,000psi. Gasket thickness of 1/16″ strongly preferred. Retorque the bolts/studs prior to pressurizing the assembly. For saturated steam above 150psig, consult Garlock® Engineering.